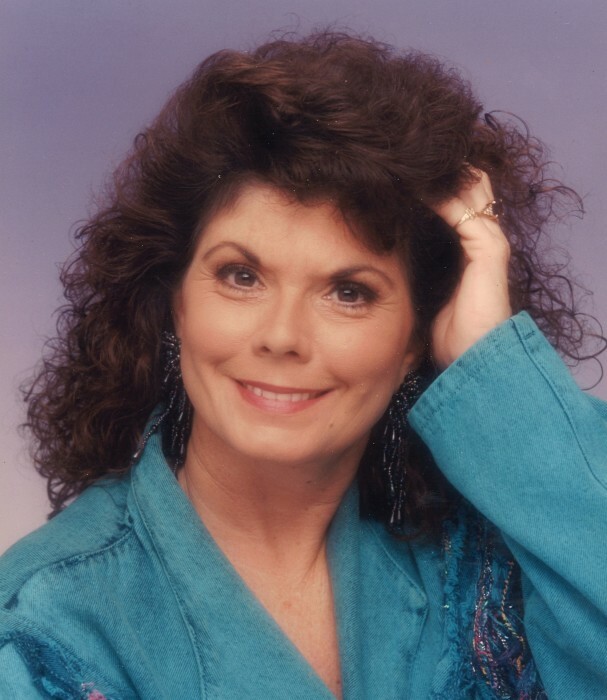 SANTA FE - Mrs. Linda Jean Tucker passed from this life Monday, January 14, 2019, in Santa Fe. Linda was born August 26, 1948 in Galveston to George and Jean (Ober) Dowdy. She graduated from Texas City High School but in her pursuit to help people, Linda attended College of The Mainland where she earned her nursing degree in 1980. She brought comfort and care to the families she served for almost 40 years as a nurse, but her love didn’t end with humans. She loved animals, especially her 4-legged babies. She enjoyed trail riding on her horses and long walks with her pups. She was known for her outgoing personality and her sharp dressing when she was younger but more recently spent her time enjoying the small things in life like her garden, going to the movies or having a nice dinner out. Linda was a beautiful person inside and out who will be greatly missed. She was preceded in death by her parents, brother, David Wayne Dowdy; uncles, Clyde Churchill, Bobby Ober, Sr., Pete Ober and wife, Lorraine; cousins, Brenda Nugier, Donna Ober Karnes; fur babies, Ariel and Dozer. Survivors include her son, Troy Tucker; daughter, Jeannie Jo Henze and husband, Karl; grandchildren, Nathan Scott Johnson and wife, Brittany Lyn; great-grandchildren, Dallas Jean Johnson, Maisie Ann Johnson; special aunt, Violet Churchill; cousins, Larry Carreon and wife, Mary, Bobby Ober, Jr. and wife, Tresa, Fred Ober and wife, Nancy, Ronnie Ober and wife, Andrea, Junie Ober, Lynette “Scooter” Ostermeyer and husband, Ric, their sons, Robbin and Ric, Jr.; nieces, Melissa Joyce Moss, Summer Dowdy; nephews, Ricky Moss, Luke Wayne Dowdy; 4-legged baby, Jasmine; numerous other family members and friends. Funeral services will be 11:00 a.m. Saturday, January 19, 2019, in the chapel of Hayes Funeral Home, with Pastor John Newton officiating. Interment will follow at Hayes Grace Memorial Park Cemetery. Pallbearers will be Larry Carreon, Karl Henze, Jimmy Nugier, Bobby Ober, Jr., Fred Ober and Lawrence Tucker. Honorary bearers will be Nathan Johnson and Ricky Moss. Visitation with the family will be from 5:00 – 7:00 p.m. Friday at the funeral home, 10412 Highway 6, Hitchcock, TX (409) 925-3501. Memorials in the form of donations may be made in Linda’s name to Animal Alliance of Galveston County, 1014 Bayou Road, La Marque, Texas 77568 or Galveston Island Humane Society, 6814 Broadway St., Galveston, Texas 77554. Texas 77554.